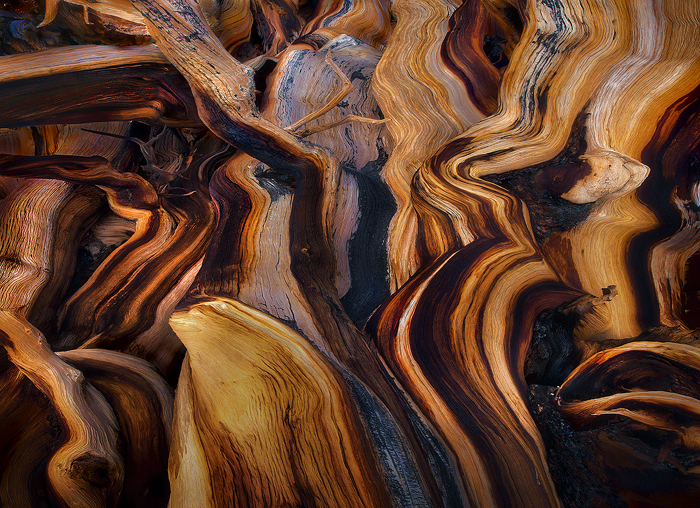 A massive abstract of the incredible textures and colors of Bristlecone pine photographed in reflected light. This tree was thousands of years old and the image you see here reaches 20 feet across. Photo © copyright by Marc Adamus.